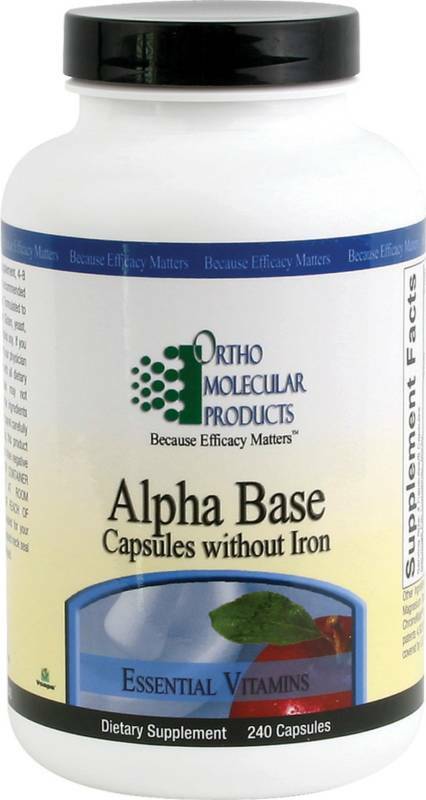 Alpha Base provides excellent mineral sources, and a 2:1 Magnesium to Calcium ratio. USP/NF ingredients & fully reacted minerals have a higher assimilation rate than others. High levels of antioxidants, reducing free radical damage, but with iron. 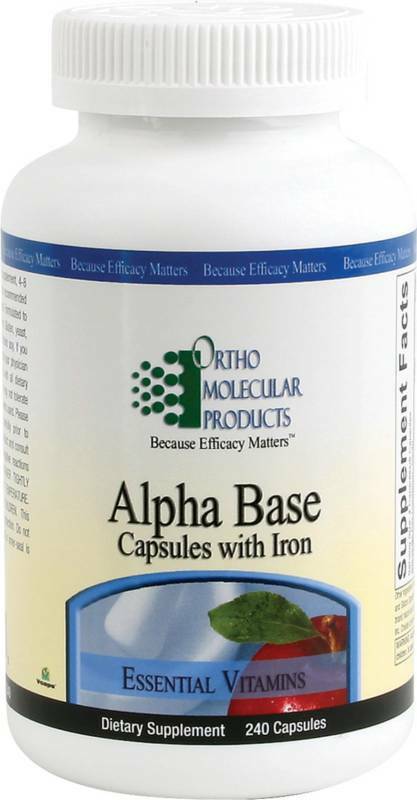 Alpha Base provides excellent mineral sources, and a 2:1 Magnesium to Calcium ratio. USP/NF ingredients & fully reacted minerals have a higher assimilation rate than others. High levels of antioxidants, reducing free radical damage, but without iron. 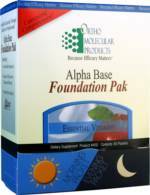 Alpha Base is the foundation for an effective nutritional supplement program. 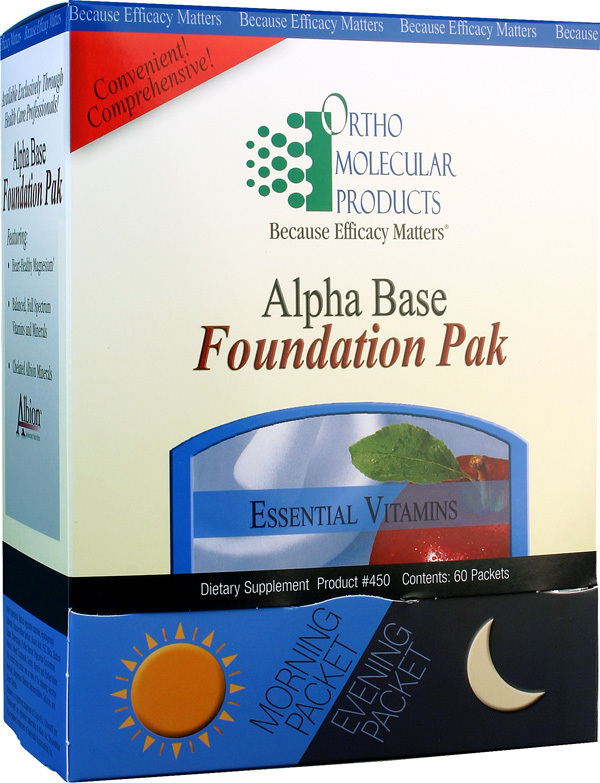 A convenient 2/Packet per day meeting your entire Supplement needs. Full Regimen of USP Vitamins, Reacted Minerals and Omega-3 Oils! Our Orth&#937;mega Meets the Strictest International Trade Criteria for Trace Heavy Metal and Pesticide Concentrations. 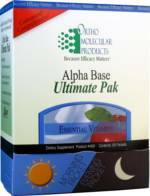 AlphaBase Ultimate combines Alpha Base Foundation Pak, PLUS a thorough Essential Greens regimen and a generous Herbal Capsule dose becoming the ultimate daily supplement! Recent reports have stressed the value of high ORAC foods (typically colorful greens and fruits). 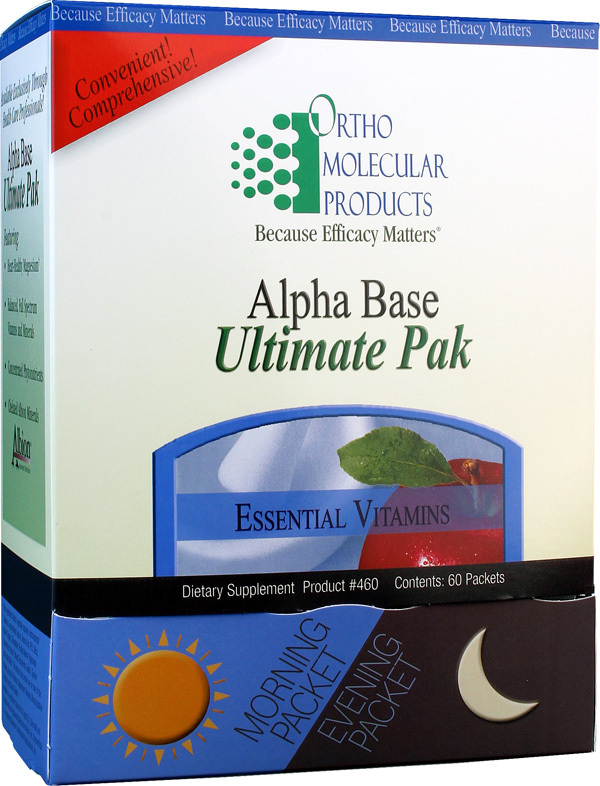 Alpha Base Ultimate Pak perfect for those with hectic schedules. Is your cardiovascular treatment strategy best for YOUR specific genetic composition? The ApoE genotyping results have important implications in the treatment strategies for individual patients in reducing cadiovascular disease risk.